Every year around time we feel we should share a series of recommendations about attractions, activities and what we like to do this time of year in our city. 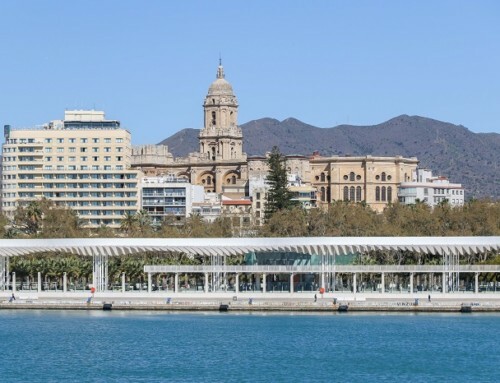 It’s said and done, in this post we have tried to collect all the experiences that we think are worthwhile to be enjoyed in Malaga during the Christmas holidays. 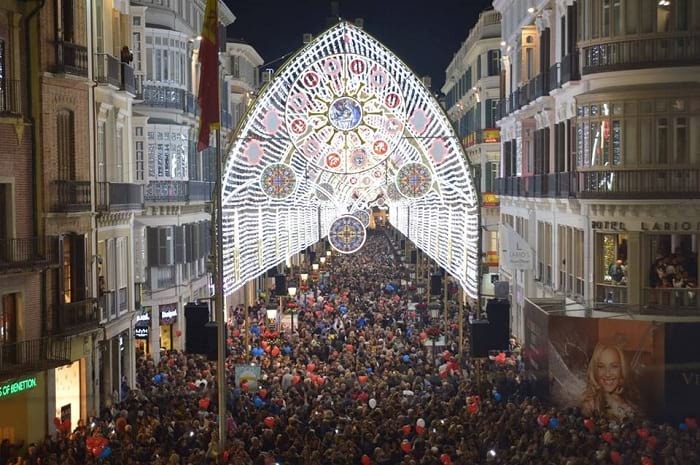 Since the last week of November, the historical center of Malaga celebrates Christmas with spectacular decoration and lighting that is inaugurated every year in a crowded event with the Activation of the Christmas Lights. An event that attracts thousands of visitors from across the province and even from other cities. Thus, throughout the month of December and until January 6 you can enjoy a musical show every day which showcases the rhythm of the Christmas lights that runs along Larios street to the Plaza de la Constitución. There are two daily shows at 6.30 and 9.30. The view of the municipal nativity scene is essential. It is held every year in the Patio de Banderas of the City Hall of Malaga, in the Paseo del Parque. Every year it opens when December begins until January 6. 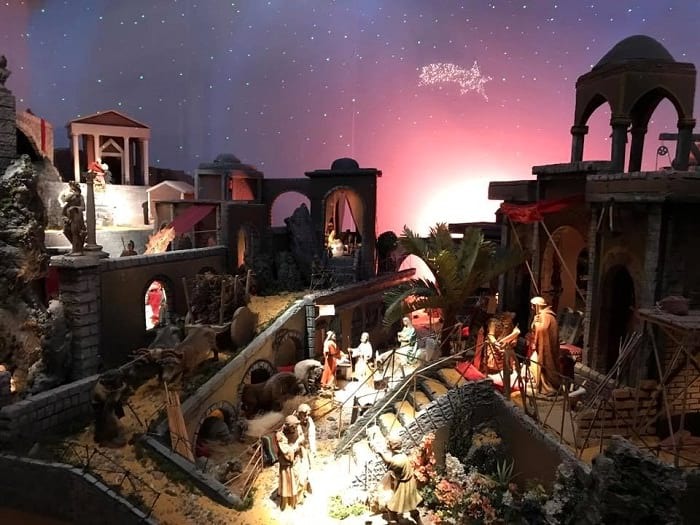 It is a surface of more than 100 square meters on top of which stands a scenography that represents, with more than 300 figures, the different biblical scenes of the Nativity of Jesus. Visiting is free and the hours are from 10 a.m. to 2 p.m. and from 5 p.m. to 9 p.m. This year 2017, you can also enjoy in the Exhibition Hall of the Municipal Archive a selection of cribs from around the world belonging to a private collection. A total of 30 nativity scenes from around the world (Portugal, Sweden, Angola, Peru, Italy, Cuba, Romania, Egypt, etc.) gathered over more than 20 years. It can be visited from Monday to Friday from 11 am to 2 pm and from 5 pm to 8 pm. Saturday, Sundays and Holidays: from 11 a.m. to 2 p.m. 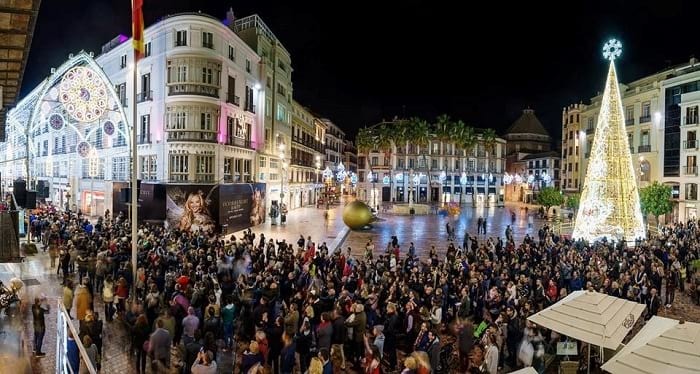 The start of the New Year is celebrated in the Plaza de la Constitución, where many people from Malaga receive the New Year with the traditional New Year’s Eve Party. The City Council distributes 3,000 bags of grapes to take during the 12 bells and also distributes bags of cotillion for free between 22.30 and 23.30 hours on December 31. An orchestra performs during the night, entertaining the party of the last day of the year with music. The other great date of Christmas occurs on January 5 at 6:00 p.m. This day the Three Wise Men arrive in the port of our city on their floats. Here the Cavalcade begins its journey that starts at the City Hall of Malaga on the Paseo del Parque and ends at the Plaza de la Merced. At the end of the parade in Plaza de la Merced, the parade of their Majesties continues on Calle Alcazabilla and Cister until it reaches the Cathedral. On their walk through the main avenues of the city, all the members of the parade distribute among the hundreds of thousands of people from Malaga more than a million candies. This is the exact route of the parade every year: Málaga City Hall, Avda. De Cervantes, Torrijos General Square, Park Walk, Marina Square, Alameda Principal, Puerta del Mar, Atarazanas, Plaza de Arriola, Santa Isabel Hall, Carretería, Alamos, Plaza de la Merced. 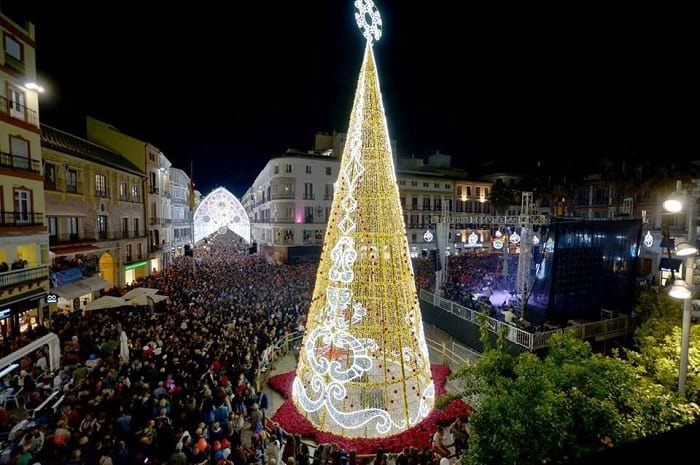 Every year, on December 14 and 15, snow cannons are installed in the Plaza de las Flores that cover the square white for a few hours and for a few hours, Malaga becomes a snowy city to celebrate the arrival of the festivities of Christmas. An initiative that began years ago promoted by the Italian businessman Salvatore Ciliberti who wanted to bring snow to Malaga as it did every year in his hometown. Organized by this entrepreneur and the merchants of the area, it has remained until today. Every year, numerous stands are installed along the Park Walk during these special dates. We, the people of Malaga have the habit of going to these small shops to buy what we need to decorate our houses, to complete our Christmas tree or to buy figures for the nativity scene or to make the first Christmas purchases. You can also find Christmas costumes as well as cotton candy, or firecrackers for children to play with. Each year a music series is organized in the historic center of the city, this year has two performances every day and always in the Plaza de la Constitución. A total of 17 free performances, every day from December 21 to January 3. 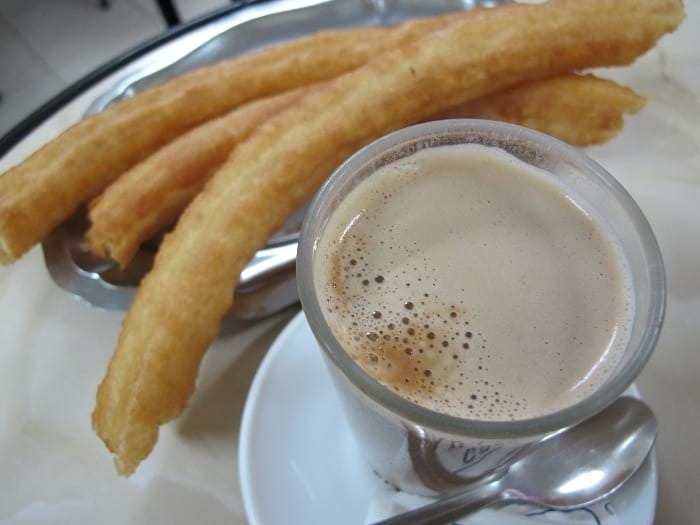 Finally, we do not want to end these recommendations without telling you that we love to walk in the morning in the city center, buy homemade handmade turrones in Casa Mira in Calle Andrés Pérez, have chocolate with churros for breakfast in Casa Aranda or in the Café Central, go to the Mercado de Atarazanas to buy figs and nuts, and different pieces of candied fruit that we use as a dessert in our Christmas meals and also to decorate the Roscón de Reyes.